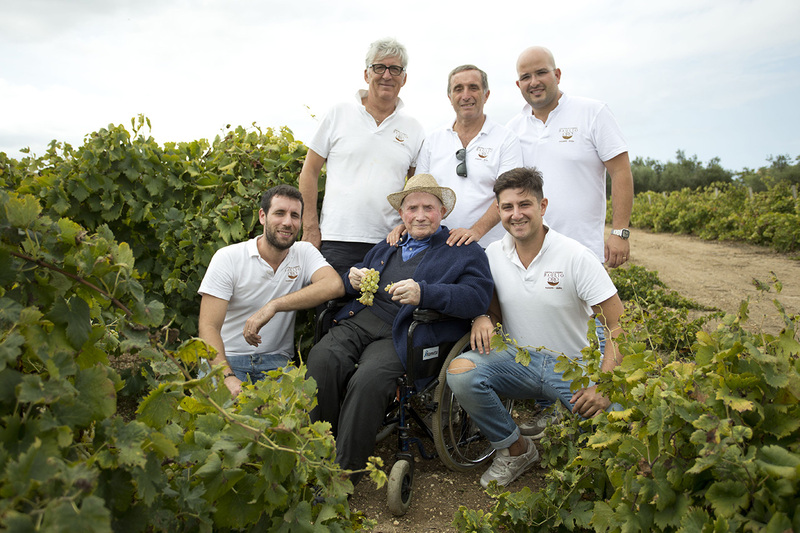 The winery was founded by the tenacity of “Don Pino” man of old traditions, who passed onto his son Francesco and son-in-law Michele, the love for his land and for wine making. 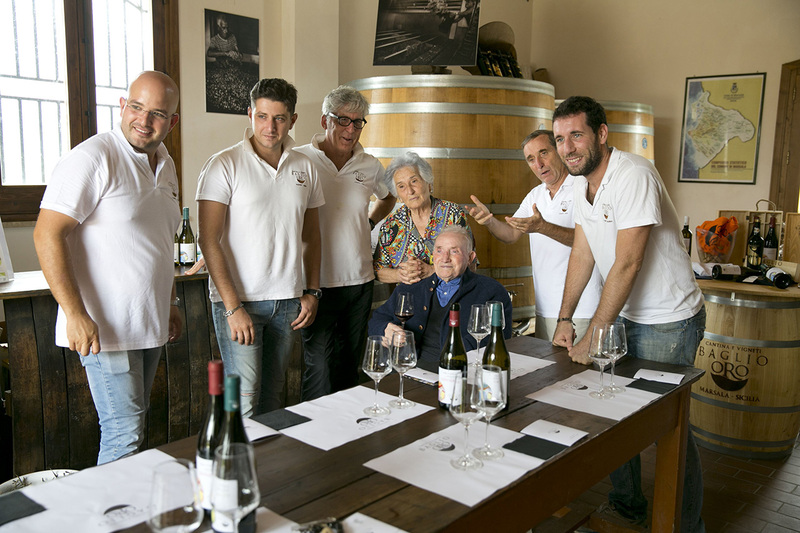 In 2008, Michele Cottone and Francesco Laudicina revived the “old cellar” into a modern winery where technology and tradition have captured the energy and warmth of this terroir. 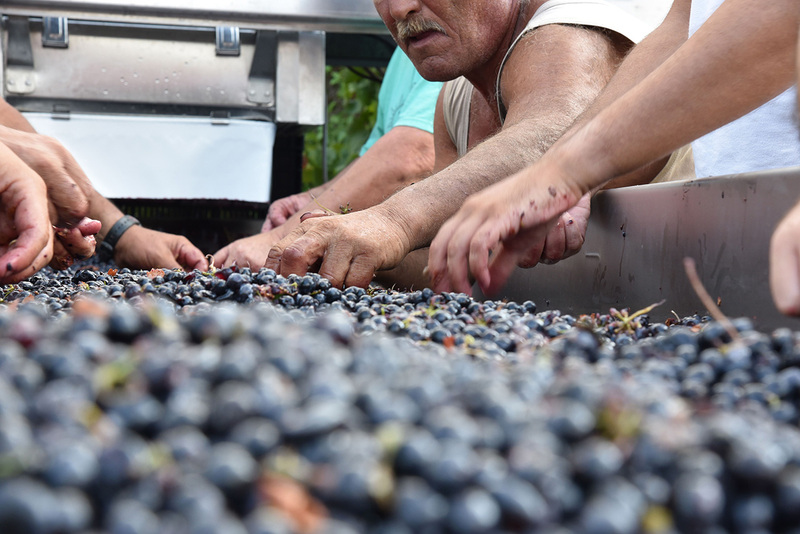 Our property extends over an area of 100 hectares of vineyards where we planted native varieties like Grillo, Grecanico, Inzolia, Catarratto and Nero d’Avola and Frappato along with some international varieties, Syrah, Cabernet Sauvignon and Merlot which have found a perfect habitat in our land. 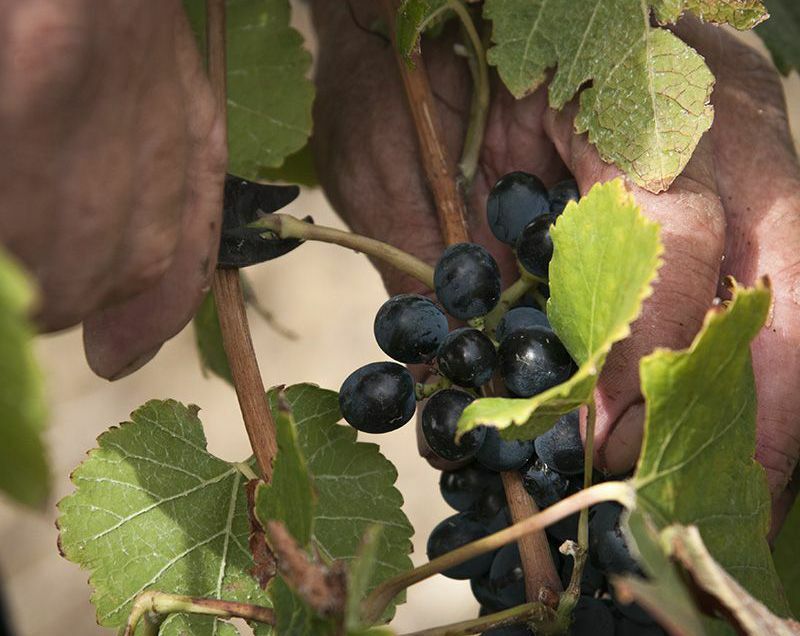 Our grapes are hand picked at harvest, with separate pickings and vinifications, by our skilled workers who carry out an attentive and rigorous viticulture, respecting the terroir, that offers its maximum expression through our wines. 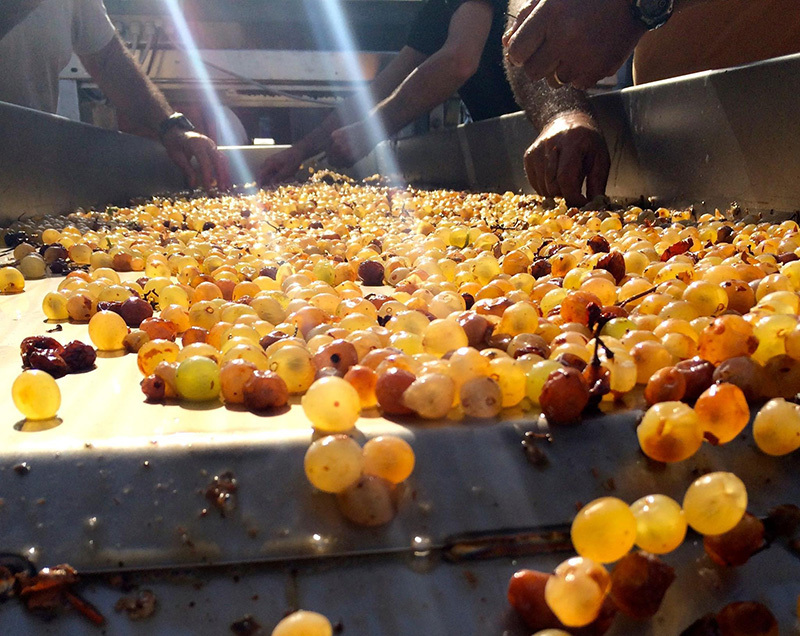 Thanks to modern technology and innovation,through a simple transformation process, we are capable of preserving the aroma andunique characteristics of each grape thatenters our cellar during harvest. 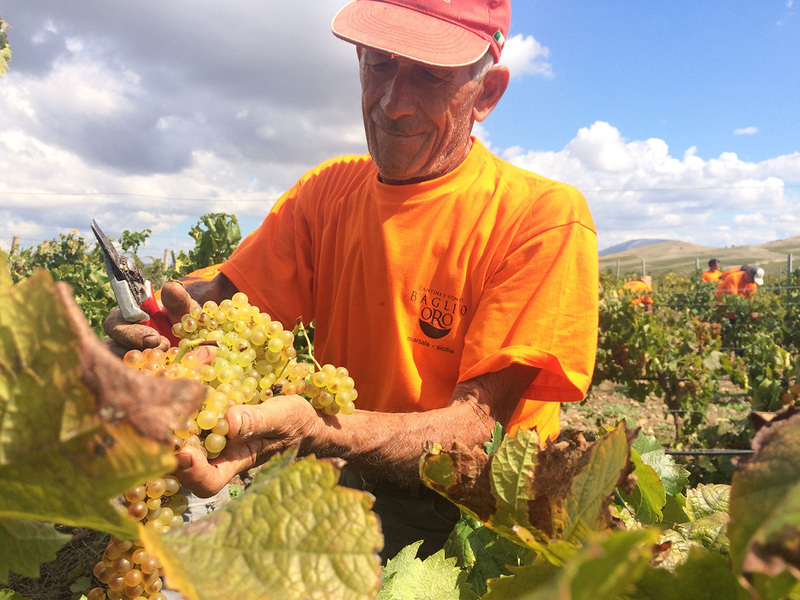 Our workers carefully monitor all the stages ofthe wine making process, from crushing andde-stemming to vinification and bottling. 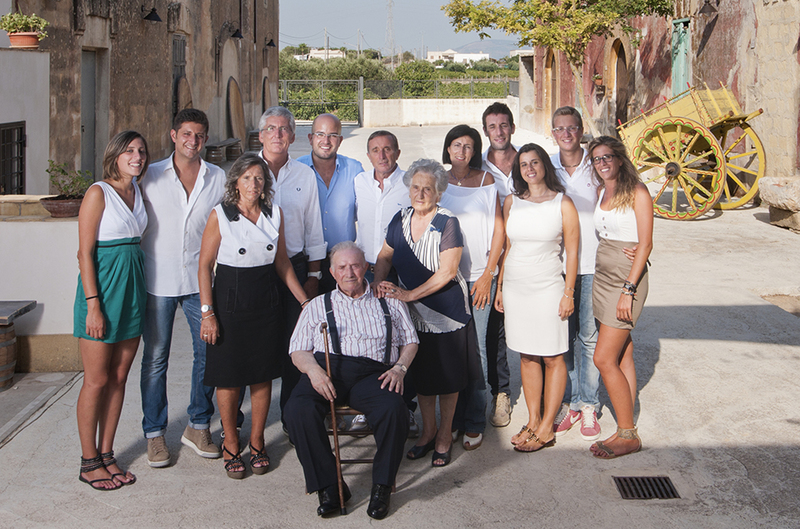 When we restored the old family cellar into amodern winery, we kept a part of the ancientbaglio with its thick and tall walls made of tufa. 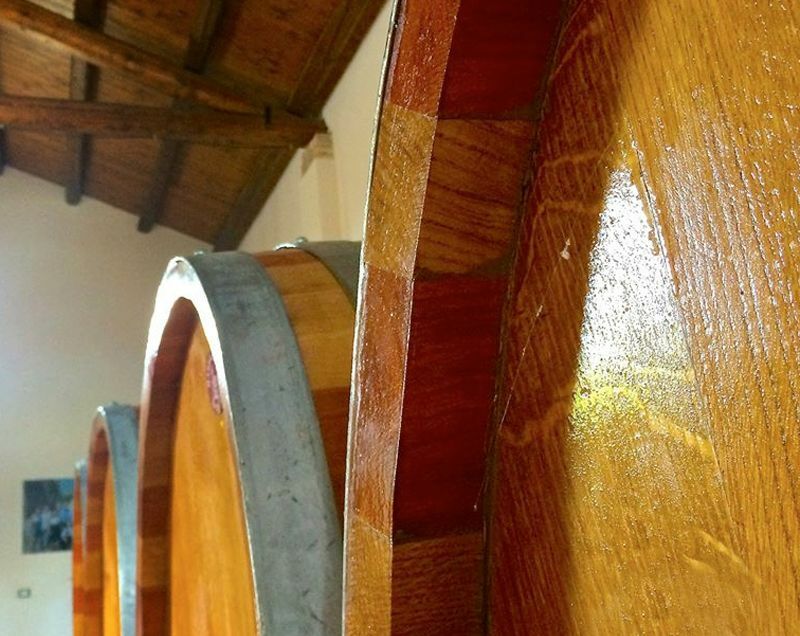 (“Baglio” is an ancient rural structure, where peasants and landowners resided duringcertain seasons of the year, essential to theagricultural economy of Marsala at that time). Adjacent to the wine cellar, a “Farmer’sMuseum” was created with a unique collectionof antique tools and machinery related to theold tradition of wine making.